Every year when Christmas rolls around, I- like many of you I'm sure- find myself on the search for fun Christmas treats. I browse my many cookbooks, I search Pinterest, I have lists and lists of ideas. But if I were to be honest... the likelihood of me actually accomplishing any of these aside from just one or two? It's small. My dreams are bigger than my talents, my resources and my time. As much as I want to go all out, I have to be realistic! Still, there is one fun treat that I've made time and time again, and one that I remember loving as a child when they were made for me. Chances are you've seen them yourself, but if you're looking for a fun treat ANYONE can accomplish, this is certainly it! Now add the googly eyes! This can be a little tricky since they tend to be larger than your candy cane, but just put a blob of hot glue right to the candy cane, and stick them on carefully and quickly! 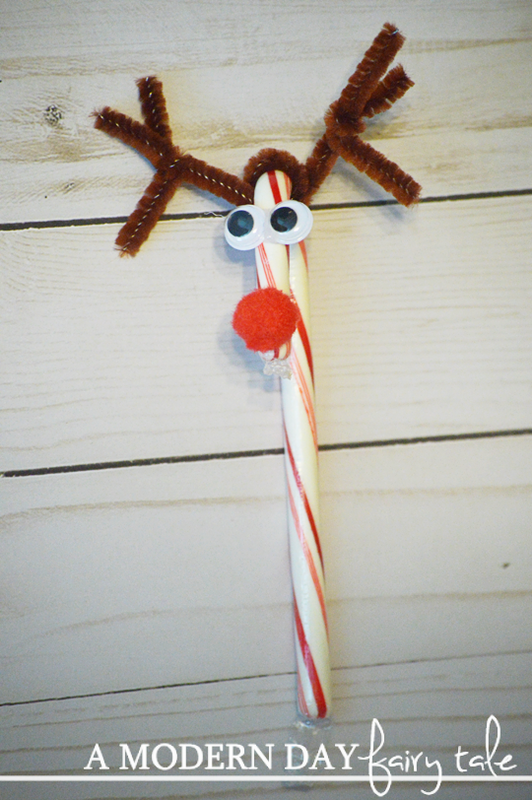 Finally add your nose to the end of the hook of the candy cane with hot glue. This craft/treat truly is incredibly easy, and kids love it. It's perfect for class parties or to surprise your little ones with at home! And they're inexpensive too! You cannot go wrong! Omgosh is this adorable!! I love it!! My son and I need to make them!! Looove! That is a delightfully comical reindeer! I remember these! Will have to resurrect these candy canes for the 3-year-old in our family! 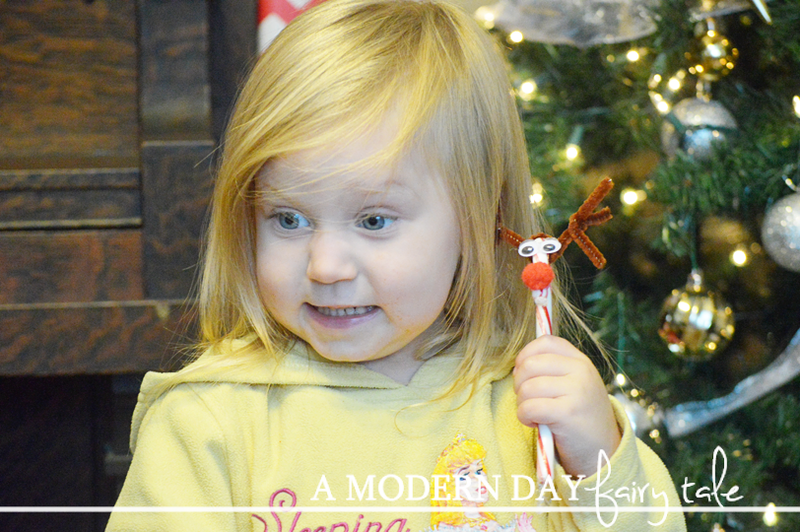 Something fun and easy to do with Toddlers! (Easy DIY Candy Cane Reindeer) These cookies are so cute. I am going to make them this weekend with my grandson.